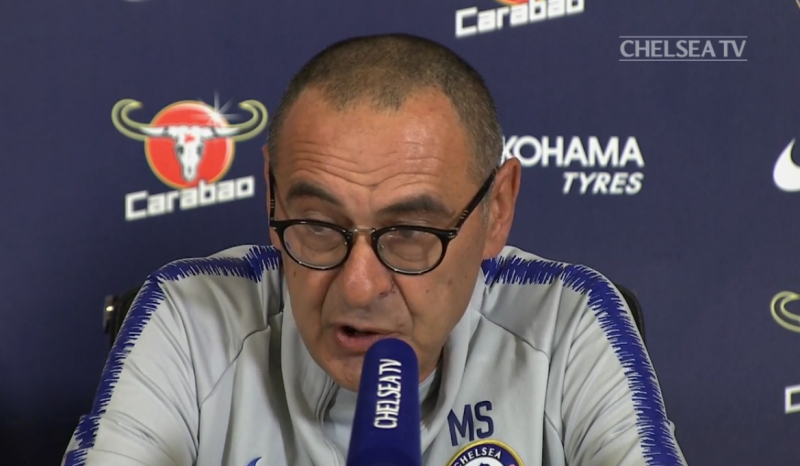 Maurizio Sarri gave his first press conference after the international break yesterday, and made some interesting comments about the exciting young players that Chelsea have coming through. He’s already played Ethan Ampadu and Callum Hudson-Odoi in friendly games, and has shown willing to put them on the bench in first team games. That’s heartening to hear – but then again how many times have we heard that from a Chelsea manager? Every single one who’s come in recently has made promises about young players that the pressures of their job have prevented them from keeping. But there’s no denying that Ampadu and even Hudson-Odoi are almost at a first team level now, and if we don’t see them more this season we have every right too be disappointed.